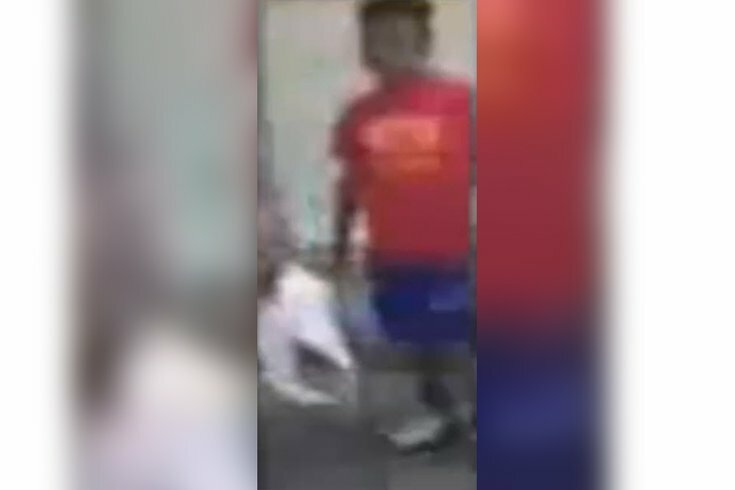 Police said they are seeking this suspect in connection with the July 12 beating of an 11-year-old boy near an Olney playground. A group of teenagers beat, threatened and took the clothes from a younger boy in the Olney section of Philadelphia earlier in July, according to authorities. Police said Wednesday the incident began on July 12 around 4:50 p.m. inside a playground located at A and Champlost streets where the 11-year-old victim was playing basketball. Four unknown black males, believed to be between 14-15 and all wearing white and red clothing, began chasing the victim, police said. The group allegedly caught up to the boy in a nearby alley, pulled a handgun on him and forced him to take off his clothes before punching him in his stomach and face and fleeing the area, according to authorities. Police released an image of one of the suspects via their YouTube channel, which can be seen below. Residents are asked not to approach the suspects if spotted and to instead call 911. Tips can be submitted by calling the Philadelphia Police Department's tip line at 215-686-8477 or the Special Victims Unit at 215-685-3251/3252. Tips can also be submitted by texting 773847 (PPD TIP) or by submitting an online form here.